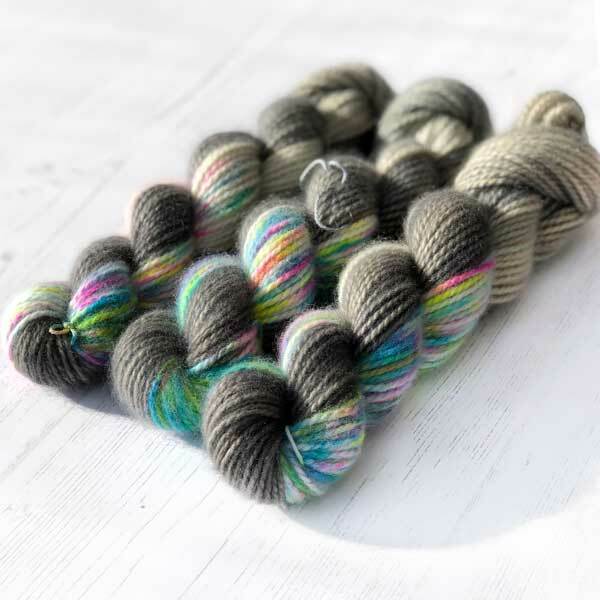 So, the first of the year’s yarn fairs are almost upon us (well actually it’s Unravel this weekend but we don’t talk about that as I have applied 3 years in a row and never managed to get a place…?) 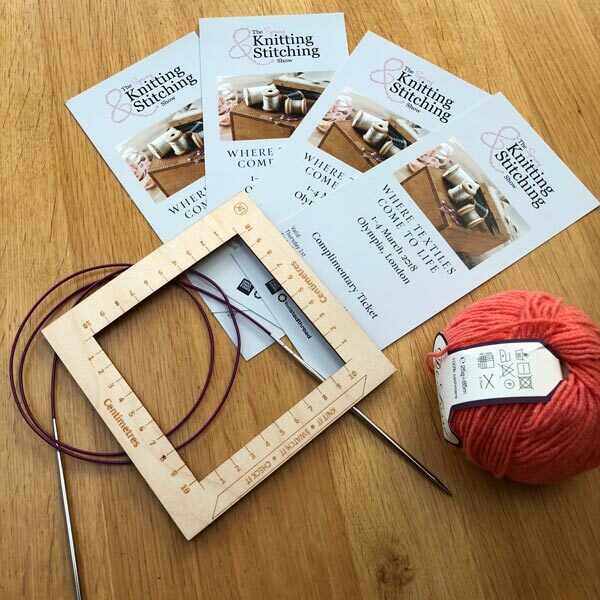 Anyway, I’m going to be at the Knitting and Stitching Show at Olympia again this year with my lovely friend Charlotte helping me out – please come and see us on Stand E82 in the West Hall. We’re next to Michelle and Simon from The Loveliest Yarn Company so make sure you check them out too! If you mention this post I’ll give you an additional 10% off my already heavily discounted prices!!! I’m giving away 2 pairs of tickets, so if you’d like a chance to win them then please leave a comment below before Tuesday 20th February with your email address (don’t worry your email address will only be visible to me, and you will only be subscribed to the newsletter if you want to!). Then I will get my son to pick 2 winners at random next week. I have picked two names and have sent them an email. I will wait to hear from them. I have 2 reserve names also picked out so if I haven’t heard back from the first two by tomorrow I will let them know. Oh! I would definitely love it!what a great way to spend the time with my girls! Ooh! I would love to win these tickets!! Fingers crossed. Did manage to go last year years but planning on going this year so to win would be great. I’ve never been to the Olympia show, it would be great to go. Would love to win them, I have not been to a show for a few years now, it would be lovely to go with my daughter. Great competition. Enjoy your stuff lots. Would love to visit the show, I’d take my friend who shares my love for knitting, crochet and stitching, a day away from the kids adulting would be fab! ?? Would treat my friend Emma to a day out. Please…it would help as I love to visit. If love to come and check out your yarn! My wife would love this. I think she’d probably want to go with her friend though as I’m not sure I’d be much use at a yarn fair. Would love to go, not been before, yarn heaven? Would love to spend a day with all the yarny goodness to feed my craftyness. I would love to come to the Knitting and Stitching Show for a luxury yarn fix and afterwards get on the number 9 bus from outside Olympia for a wonderful London bus journey to Trafalgar Square and some sightseeing! I would love to win these. I went last year but wasn’t working so couldn’t buy anything – it was a nightmare! I have a job now so would love to go and be actualy able to buy something. Ooh yes please! I’m planning on going anyway, but would love these tickets – it will mean I can spend more money on yarn! !